Format: A4 (297x210 mm), replica size 277x185 mm. Format: A3 (420x297 mm), replica size 400x272 mm. 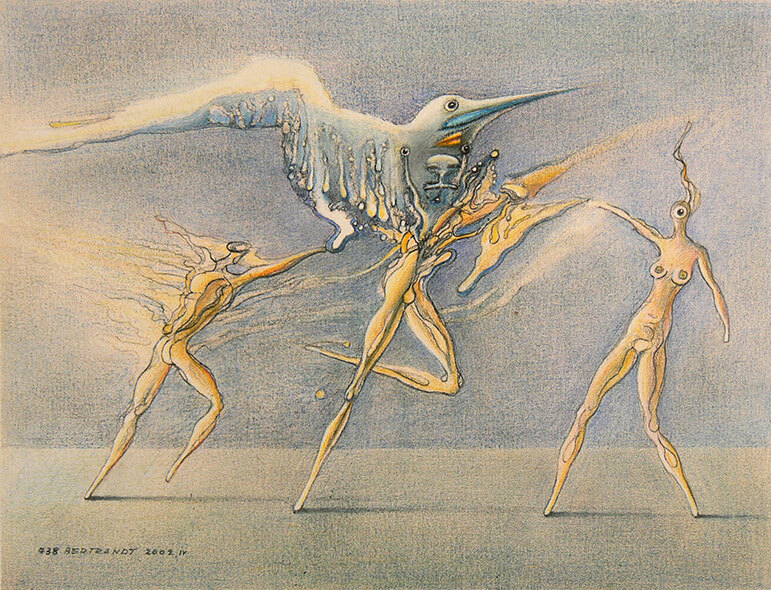 In many cultures birds are the heroes of ritual dances. Sold.